At BigKidSmallCity, we believe the more we know about the people of Houston, the smaller our city feels. 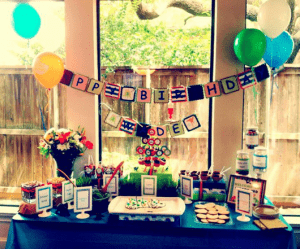 And who better to meet than a Houston mom that has started her own party planning business. Meet Kelle Lambert. 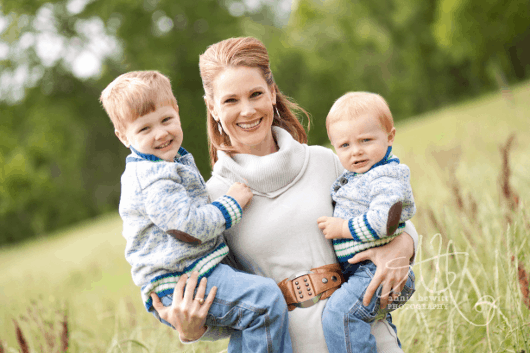 She is the owner of Craftykelle Party Planning & Designs, a stay-at-home Mom of 2 boys – Wade 3 1/2 & Gage 22 months and lives with her family in the Braes Heights area of Houston. In her own words, here is a little about Craftykelle and what Kelle likes about Houston! I started my party planning business, Craftykelle, after planning my 2nd son’s 1st birthday party in February, 2013. I spent MONTHS designing & planning for it. I had so much fun that family and friends started asking me to help plan their events or to create items such as banners, gift boxes, etc for their parties. It didn’t take me long to realize that this was something I LOVED doing. So in August 2013, I decided to start my own business. 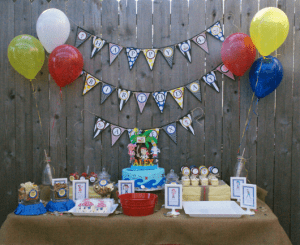 I specialize in planning children’s parties but I enjoy planning most any small events (baby showers, Christmas parties, etc). I will help you plan your event from start to finish including setting up and taking down. My goal is to make your party planning experience as STRESS FREE as possible. I love that Houston provides a variety of places to enjoy as a family. Some of our favorites include the Tyke Hike at the Arboretum on Monday mornings, the library, the Dinosaur & butterfly exhibits at the Museum of Natural Science and of course, the zoo! Since my kids are still quite young, we are in the process of establishing some new traditions as a family. Just this year we visited Zoo Lights and I took my oldest to see the Nutcracker ballet and to my surprise, he sat through the whole thing. I’m hoping we can make that something that we do each year together as well. We also took a short vacation to Galveston this September. We went to Schlitterbaun and the Aquarium and we stayed at the lovely Hotel Galvez. It was the perfect quick get away as a family!